Mike McDonald, of Sarasota, Fla., caught a redfish and speckled sea trout that measured a combined 51 inches in length to win the IFA Kayak Fishing Tour Presented by Hobie Fishing event at Sarasota on May 1. 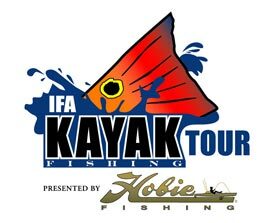 The event, which operated out of Centennial Park, was the second of three regular-season events for the IFA Kayak Fishing Tour?s Florida West Division. Fishing in the areas of City and Buttonwood, McDonald employed Berkley Gulp! baits to boat his redfish and targeted trout with top-water lures. Battling high winds and choppy water, McDonald switched tactics during the event, opting to fish areas that he targets during the winter months. ?When I first got there I didn?t do very well; got a couple of small ones,? McDonald said. ?I almost gave up on it but then I moved 100 yards and caught a decent trout. Then I caught two more great trout ? the biggest ones I?ve seen in a long time.? With the win, McDonald took home a Hobie Mirage Pro-Angler Kayak valued at $2,499. He also took home the $100 Berkley Gulp! Big Trout Award. Second-place finisher, Ashton Boyer, of Port Charlotte, Fla., measured a 25.75-inch redfish and a 22.25-inch trout for a total length measurement of 48 inches to secure the $1,000 second-place prize. Relying on Berkley Gulp! baits in his first kayak-fishing tournament, Boyer overcame losing several good fish early in the day to finish second. ?My first fish was a catfish, then I stuck a good redfish ? 27-28 inches,? Boyer said. ?But it swam through my legs and broke off. I lost a few 30-inch reds today, too.? Third-place finisher, Doug Fisher, of Sarasota, won $500 prize money plus $143 in Anglers Advantage money with a combined length measurement of 47.25 inches. After high winds forced him to fish alternate areas where he could launch his kayak, Fisher drifted most of the day, casting top-water baits into mullet schools to land his fish. Ninth-place finisher, Lance Gardner, took home the $100 Berkley Gulp! Big Redfish Award, which brought him an additional $100 Cabela?s gift card, courtesy of Berkley, for catching the fish on a Gulp bait. B.J. Minarcin, of Naples, Fla., won the $100 Junior Angler Award; David Shields (seventh place) won the $200 Hobie contingency as the highest-finishing angler competing from a Hobie kayak.